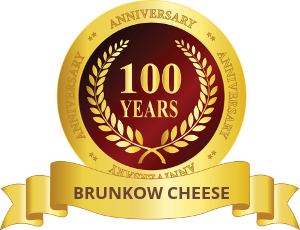 Brunkow Cheese has been producing cheese in Darlington, Wisconsin, since 1899. 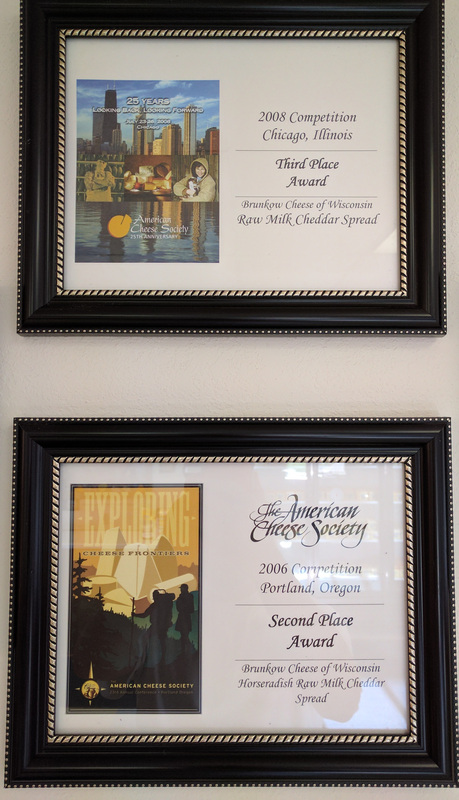 We are a family owned and operated company that sources milk from small neighboring dairies to make artisanal cheeses. All our methods are traditional, our recipes old world, and our methods sustainable. We create cheeses by the hard work of our hands. 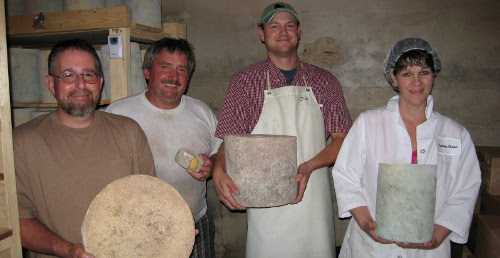 The handcrafting of our cheeses are not only indicative of our hard work and efforts, but of those of our neighbors, the dairy farmers that produce not only a product but also a procedure that is high quality. We do this by demanding that the dairies we source from provide milk from cows that are put out to pasture in the green months and receive no rBGH treatment. We provide a market for the small dairies in our area that are striving for a livelihood, yet are unwilling to sacrifice the purity of the milk being produced or the well being of the cow producing the milk. We believe quality cheese begins with quality milk, and so accept nothing less than those standards. But once we have the milk, it is our job to produce a cheese that follows the same standards that we place on the dairy farmers. We do this by making cheeses of quality rather than quantity. Everything we do is done in small batch, or artisan, form. 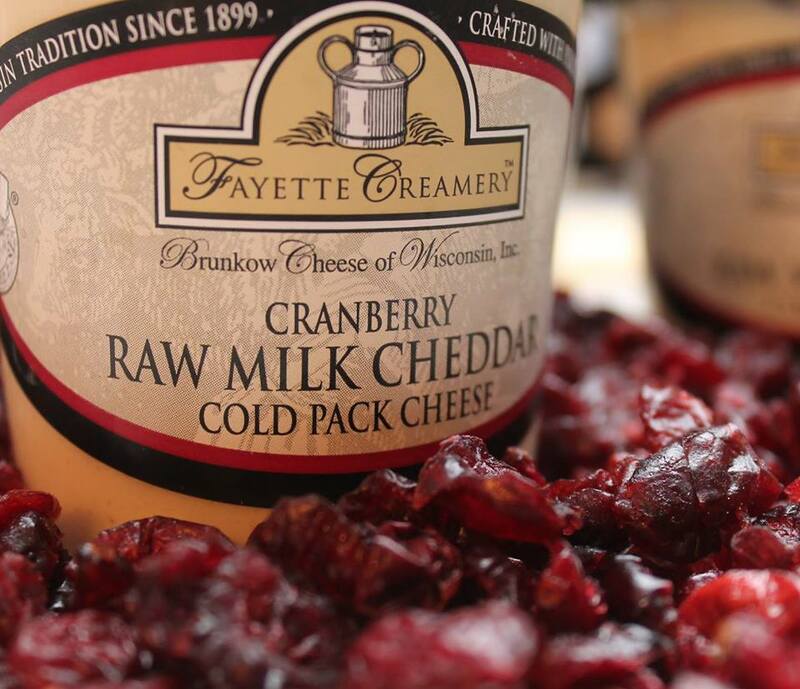 We make all our cheeses with the bare minimum of main ingredients: milk, salt, and rennet. We refuse all additives and preservatives, and for this our cheeses are not only better tasting, but healthier. Our goal is not to make or sell the most cheese, but to produce the best cheese in a way sustainable not only to our community but the greater environment. By following these traditions and respecting the craftsmanship of our fathers and their fathers, we will continue to serve our community and provide our customers with a product that is as pleasurable as it is honorable.